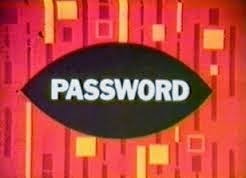 Learning NEXT: Today's password is: professional . . . .
Growth? Learning? Development? All of the above? It depends? As Ben Wilkoff, Director of Personalized Professional Learning in Denver Public Schools notes, it is the people who create (and sustain) change, not products. We know a lot about professional learning (or growth or development). We know that it should not be "drive by;" that it should be job-embedded and sustained over time. We know that just as one size does not fit all students, so should we know that one size of professional development does not fit all educators. And yet, because it is convenient or because of restrictions and logistics, we still tend to herd educators into one large room and have someone stand in front of the room to deliver professional development. Yes, there are lots of us who do our best to be sure we do not "stand and deliver" when we are fortunate enough to work with educators. We plan activities and we try to make sure that the folks who are in our care for that day walk away with knowledge and skills they can use the next day if not that day in their professional lives. We want to be a part of the process that ensures educators can learn and grow, that their skills and their knowledge further develops because of the time we were able to spend with them. Educators aren't alone in this conundrum for their own professional learning. Nearly every profession or field has some sort of expectation that individuals will continue to learn about the work they do. Imagine an auto mechanic who wasn't familiar with all of the electronic gizmos in today's cars, or didn't know anything about hybrid engines. I was at an IACET training because my organization was interested in non-traditional continuing education credits for its software training. There were representatives from a wide array of fields and professions, though the two women who have stuck with me were the representatives from a plumber's academy. Why note? Gertrude Stein wrote "A rose is a rose is a rose" in her poem Sacred Emily. William Shakespeare wrote "What's in a name? that which we call a rose/By any other name would smell as sweet;" in Romeo and Juliet (Act II, Scene II). In other words, it doesn't matter if we call it "professional development," "professional learning," or "professional growth." It matters that we do it well and that we implement it and sustain it in such a way that the experience itself--the learning, the growth, and/or the development--matters and enables the participants to create, and sustain, appropriate changes in their classrooms. More on professional learning/growth/development in the next post.